Summer Pastels are my new obsession. Lavender has always been in our garden but never on me! I love colour, it adds light and life to my world, my wardrobe and our home. Not much colour on the walls, I don’t go over the top 98% of the walls in our house are white. I add colour with ‘things’ so when I get bored I can change it all around and start again. Summer Pastels aka Lavender, Lilac or Violet. 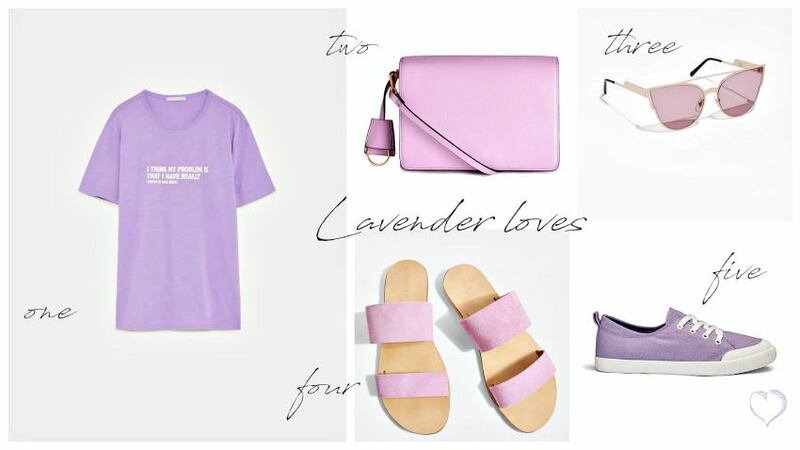 I’m sure you know that lilac is the pastel trend for summer, the stores are calling it Lavender! I’m liking that, very romantic and very summery too. 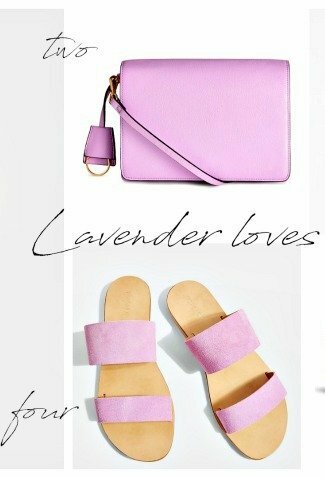 Lavender paired with denim is perfect for summer, it has always been a favourite of mine. 5 Summer Pastels pieces : £23 and under! If you read my midlife and florals post, you may remember that I had fallen for a dress? Last week I gave in to temptation and bought it. Not an impulse buy because I took a few weeks to decide to buy it and it did cost £49 pounds, so not a bargain either. I couldn’t stop thinking about it. Luckily it was still available in my size. It was this one above, I will do photograph an outfit post very soon, you can tell me what you think. I do hope you have sunshine where you are, Dorset is looking lovely today. Like the Zara slogan T-shirt! Sounds abot right for me! Oh what a lovely colors! I want those canvas shoes!!!! Haha, enjoy your weekend! Thanks Nancy You too is it hot where you are its very hot in the UK! Love the lilac plimsoles with the print maxi…very cute and cool for summer. ?❤️? Hello and thanks Sarah, they will look very pretty I think?